Amazon announced its new Alexa product – Echo Show. 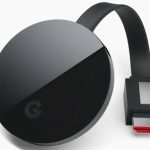 It is priced at $229.99 and is available in black or white. The echo show is basically an amazon echo equipped with a touch screen and a camera. You can pre-order now and will be available June 28. It’s functionality is very interesting and makes sense. On the surface, it looks no different than previous attempts made by other manufacturers for video conference. 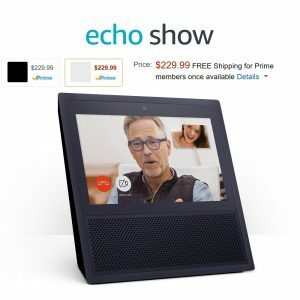 However, echo show is based on Amazon’s Alexa operating system which has been immensely popular for Amazon users especially with Amazon Prime. On it’s youtube intro video, it featured a family with twin infants. The parents were managing their day by using echo show integrated in their life. They used the echo show as baby monitors to see their baby, they used the video conference feature to connect to each other and to their parents. When playing Prime music, you can see the album jacket and the lyrics when available. 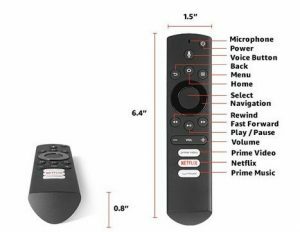 It seems this is the logical step for Echo devices and most importantly, the timing is right. The intro video also had a grandfather painting the walls to the bedroom of a child. They searched youtube to watch tutorials on how to sponge paint. Once completed with their artwork, they did a video conference to showcase what they did. Amazon’s black friday sale will be ongoing starting this week. Check out the banner to visit their rolling black friday deals! They will have thousands of limited time Lightning Deals. Track the deal by the category and wait for it to come live. 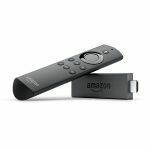 Below are the Black Friday deals for Amazon’s family of devices. These offers will be valid from Nov. 24 – Nov. 27th.